Pwnee Studios gave us the opportunity to interview them about their new game, “Cloudberry Kingdom”. 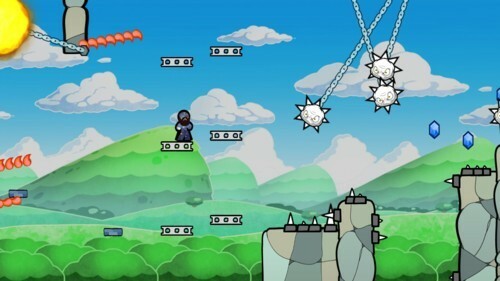 The game has been notorious for it’s level generator which allows players to specify their level of difficulty for automatically generated stages. It will be available for the Wii U’s eShop sometime during the launch window, as well as Steam (PC), Xbox Live Arcade, and PlayStation Network. Yesterday, a brand new trailer was revealed for the game which you can check out below. Pwnee Studios has been incredibly busy putting the finishing touches on their game, and we would like to thank Jordan Fisher, TJ Lutz, and the rest of Pwnee Studios for helping with this interview. Cloudberry Kingdom has become infamously known for being difficult. Were there challenges in making a game that was difficult but still keeping it fun? Definitely some technical challenges, absolutely. Our goal with the game was to make something everyone could pick up and enjoy, whether they’re a casual gamer or some kind of crazy gaming super mutant. Probably the bulk of development has been spent balancing gameplay: making sure things are fun and challenging for players of all skill levels. For our trailers we usually go a little crazy and just show the most extreme insanity the game can offer. I suppose those intense trailers have sort of given us a reputation… hopefully nobody gets too upset when they find out that the whole game isn’t actually mind meltingly hard. Those parts are just for the gosu maniacs. The levels in Cloudberry Kingdom are randomly generated. The engine and AI takes a lot of parameters and constraints into account while it generates these levels. Were there ever times where the engine would create levels that were impossible to beat, and you had to go back to fix or tweak the A.I. to hit that sweet spot? Also, was there a lot of trial and error in planning out different parameters and constraints for things like full jumps/half jumps, how many fireballs or obstacles could be on screen at once, etc? Oh yeah, the AI took a long time to perfect. There were small bugs that kept cropping up for years which would periodically make an impossible level. Incredibly frustrating. The engine has thousands of parameters, and the AI can make a possible level no matter what those parameters are set to. It’s pretty daunting. Even more daunting though is figuring out which of those parameters lead to fun levels. That involved lots and lots of playtesting. We don’t have an AI for that part, unfortunately. Did Pwnee Studios ever go back and play old school platforming games for inspiration in creating Cloudberry Kingdom’s gameplay, physics, and level design? Any specific titles that inspired Pwnee? Mario! Yessss. Old school Mario. Back when it was tough. I’ve still never finished Mario 3 without using a flute. Jumper and Super Meat Boy were big inspirations too. They were the modern trailblazers in our field. When you’re making a skill-based platformer in an age when everyone wants push-over gameplay, it’s reassuring to know there’s still a market for a real challenge. 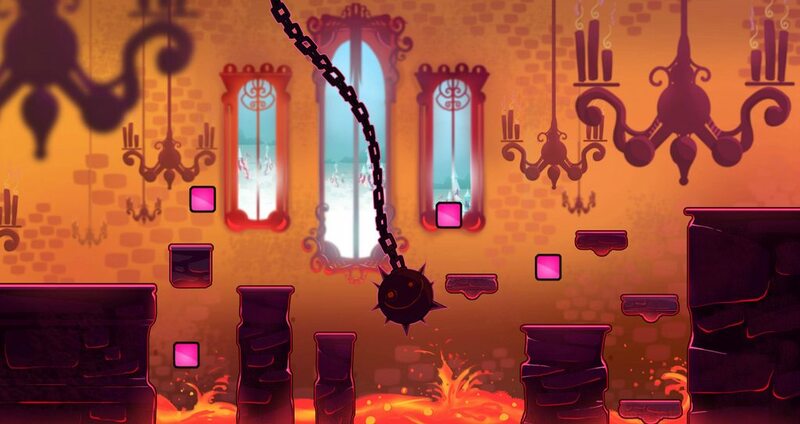 Can you confirm that Cloudberry Kingdom will be a launch title for the Wii U? We can definitely confirm we will be in the launch window. There’s a really good chance we’ll be out on the first day, but there’s a tasty mix of unexpected challenges that go into that mission. We feel pretty confident right now though. Nintendo has been awesome to work with, and has been doing everything they can to help us make launch. I promise we won’t sleep until our relationships are destroyed and our health is ruined! Viva la Cloudberry! Is the process easy for an indie developer to become an authorized Wii U developer, and what does Nintendo specifically look for when they authorize an indie developer to be a Wii U eShop developer? We can only speak for Pwnee here, but Nintendo has been awesome to work with. Incredibly helpful, friendly, and really just great people all around. From the first day we pitched Cloudberry to Nintendo we’ve only had positive feedback and tons of support. Looking at the indie lineup for Nintendo I think they are really gunning for unique, innovative, and polished indie titles. If you’re an indie studio I definitely encourage you to consider WiiU as a platform. Probably the biggest thing for a developer is turn around time. On other platforms there is a substantial delay between finishing a game or patch and actually having it go live on the platform, mainly due to the QA process for the platforms. Steam is completely hands off in this respect: QA is entirely on the developer, which means once we decide a build is ready, it is. It is incredibly easy to push an update on Steam. I’m talking about minutes, not months. The turnaround time for Wii U isn’t as instantaneous as Steam, but on the timescales of other platforms it might as well be. Cloudberry has multiple difficulty settings and score possibilities. For the Wii U version, will there be any social features be implemented such as leaderboards, Miiverse, achievements/accomplishments, etc? 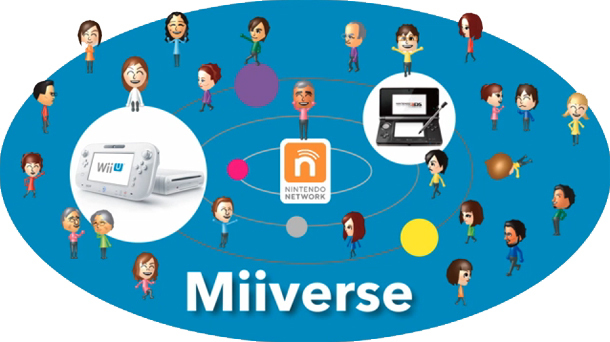 There is an online leaderboard for every platform, and we will definitely be rocking out as a part of the Miiverse. Really, you can expect us to be like most other games in regards to some of the social features. Achievements/accomplishments/trophies/whatever else you may want to call them are a must. How else can you rub it in your friend’s face that you are the better gamer? Were there any ideas that didn’t make it into Cloudberry Kingdom due to time restraints or budget? And will there be any downloadable content in the future? The heartbreaking truth is that we are constantly coming up with ideas and possibilities for features to add. There are a number of ideas that are not going to be able to make it into Cloudberry Kingdom, but we made sure that all of the best ones made the cut. We tell the other ideas that they are just as special to us, but that is a dirty lie. DLC is almost certainly in the works though, assuming we don’t die from heat exhaustion immediately after launching. We plan on adding a healthy dose of new heroes and obstacles, which the AI mashes around and turns into a completely new experience. Can you describe the differences between the PC (Steam), 360, and Wii U versions of the game? Is there any version that would consider the best version of the game? Every version of the game is more or less the same, aside from the functionality to share seeds. That is the only current difference between the builds at the moment, but that doesn’t rule out the possibility of working with certain platforms to add some more unique assets. Will any versions of Cloudberry Kingdom have a level creator so players can create levels and share them with other players? As of right now, we have a “Freeplay Mode” that allows the player to pick and choose different variables such as obstacles, difficulty, level length, number of checkpoints, etc. to have the AI create a level to their liking. After the AI spits out your level (or if you find any other level that is to your liking) we have given the player the ability to save that particular level and pass on a seed to their friends so that they can share it. We’re pretty excited about what players may do with this. I’ve seen some critics on forums saying that if you allow the A.I. engine to generate every level, then there will be a lack of logic and thought in the level design. They claim every level will become trial and error. Would you like to address those claims or concerns by those gamers? We have seen those critics as well, and it is a very valid concern. Luckily for us, we recruited some of those critics into our beta to see what they thought about how our AI designed the levels. So far we have had nothing but positive feedback. We have also had a number of people test the game with no knowledge of how the levels are made who are quite surprised when we reveal to them that it was all done by an AI. The trial and error concern is wiped out by the AI having to be be able to play through the level before it is ever presented to you. You can even watch the computer if you don’t believe us! This might sound crazy, but we even taught the AI about ‘flow’. The levels really flow very well. Extraordinary claims require extraordinary evidence though, so by all means doubt away, we just hope you try it out. That’s Science! We would like to thank Pwnee Studios for giving us the opportunity to interview them about “Cloudberry Kingdom”.